The beta test for Infinite Crisis, the MOBA that lets players become DC Comics heroes and villains, is almost over. Turbine announced this weekend that the game will officially launch on PC later this month. Infinite Crisis will launch on March 26th. On that same day, the game will make its debut through Steam. If you decide to download the game through Steam, you'll be able to take advantage of unspecified "launch specials" on the 26th. "For you, our existing testers, there won’t be a significant amount of change," Turbine said of the transition from beta to launch on their website. "You’ll still log into the game with your existing WBID and your account will remain the same as it’s always been. We will continue to update the game with new features, Champions, Costumes, optimizations, and plenty more." The developers aren't planning any additional account wipes. Any Champions, Merit, and other progress you've unlocked will remain on your account. If you decide to play the game through Steam, you'll need to uninstall your current copy of the game and then re-download it. Turbine stresses that the current client available through the game's official website will still work. However, you'll miss out on certain Steam-specific features like Trading Cards. "At launch we’ll be supporting the Steam Overlay, the ability to import your Steam friends who play Infinite Crisis straight on to your Infinite Crisis friends list, and we’ll have a set of Infinite Crisis Steam Trading Cards. Supporting Steam Overlay also means that you’ll be able to use Steam Voice Chat with your friends." "We’ll also have the Steam Community Hub, which means you’ll be able to share screenshots, videos, guides, and more with other community members on Steam." Turbine is planning to give out a special gift to beta testers: the Flashpoint costume for Doomsday. Everyone who has an active beta account as of March 25th should receive the costume a day or two later. Because the game's in an open beta, you could create an account right now in order to get this gift. "This costume will be exclusive to you as our thanks for participating in our Beta program. Flashpoint Doomsday will never be sold in the store at a later date, or offered to players who did not participate in our Beta program. Enjoy! (And remember, in order to use costume, you’ll need to unlock Doomsday for free on your account by playing through our tutorials!)" 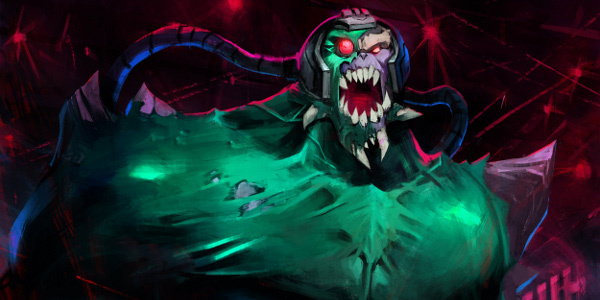 Infinite Crisis is a lot like other MOBAs such as League of Legends or Heroes of the Storm. Two teams of five players will compete in objective-based battles. Players level up their characters over time by killing the enemy team or their A.I. minions. The ultimate objective is to destroy the Power Core in the enemy team's base. Players can choose from a wide range of DC heroes and villains like Green Lantern, Superman and the Joker. However, like the comic book series it's loosely based on, Infinite Crisis is a battle between super heroes from several different worlds. Some of the characters come from different versions of Earth. For example, you can be a steampunk version of Catwoman or a vampiric Batman.